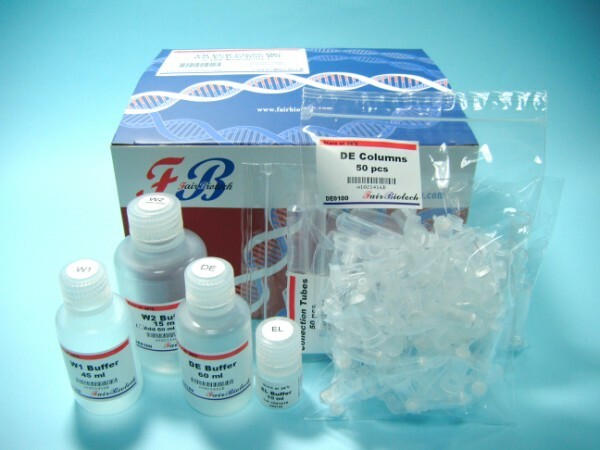 The FB PCR Clean Up/Gel Extraction Miniprep Kit provides a cost-effective system for fast and easy isolation and purification of DNA fragments from PCR reactions, agarose gels, or enzymatic reactions. DNA fragments in specialized buffers are bound by the glass fiber matrix of the spin column while contaminants pass through the column. DNA purified with this kit is suitable for any subsequent application, such as ligation and transformation, sequencing, restriction enzyme digestion, labeling, PCR, in vitro transcription, or microinjection. The entire procedure can be completed within a short 15-20 minute time period.